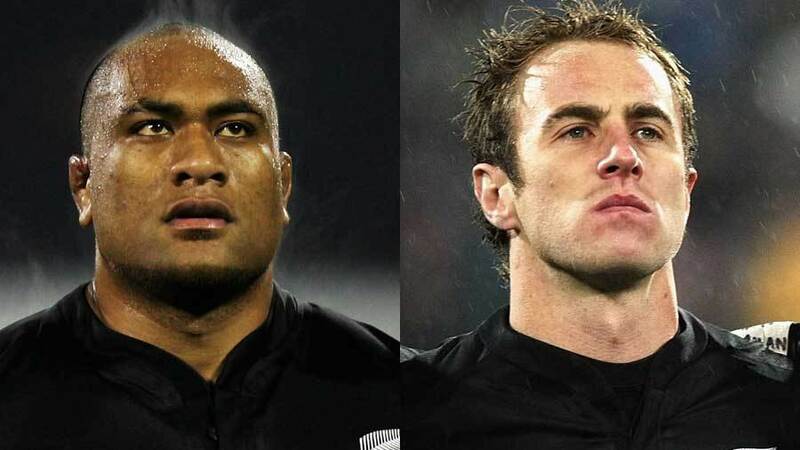 World Cup-winner Jimmy Cowan and Neemia Tialata know better than most what is takes to be a successful All Black - their combined 92 international caps are testimony to that. In the wake of New Zealand's dramatic victory over Ireland in November, which secured a perfect season for the All Blacks, plaudits flew from all corners of the rugby world about the all-conquering world champions. The fact that seven All Blacks made the World XV highlights just how hard New Zealand's rivals will have to work to ensure there is a different name on the William Webb Ellis trophy next autumn. "The seeds are sewn well before you get to All Blacks training camp," Cowan told ESPN. "Young players are taught that it's about winning, its about scoring tries wherever you are on the field. It breeds positivity all the time. From club structure right up to the very top. It sounds obvious but that's how it is." "Rugby in New Zealand is thought about completely differently, it's that simple," added prop forward Tialata, who joined Bayonne in 2011. "I don't think the way young players are taught in Europe necessarily benefits them when they reach international level." Super Rugby begins again this week, with a New Zealand club, the Chiefs, looking to win their third straight title - an all-too-familiar tale of Kiwi success in an era of unprecedented All Black dominance on the international scene. Add to that the fact that the European teams struggled to compete with the big three during the autumn internationals - only England recorded a win during the last bunch, beating Australia 20-13 - and you have an alarming trend developing with a World Cup less than two years away. New Zealand's unbeaten season in 2013, and its near-miss of the same feat a year earlier, was built on the back of players from its domestic system. Contrast that with Wales, who are chasing Six Nations history with a team plying their trade across all three of Europe's top leagues as the domestic game nears breaking point. When Cowan joined Premiership club Gloucester in 2012, his last act as an All Black was collecting a World Cup winners medal the previous autumn. But while he insists the physicality of the game he left behind in New Zealand is no different in England, he offers an interesting insight into young players coming through at Gloucester and across the Premiership. "There is nothing wrong with players as athletes over here," added Cowan. "I look around at the guys in Gloucester, in the gym and on training, and they are top, top athletes. There is no problem with their physical attributes. "I get asked a lot about the differences between northern and southern hemisphere and it's a tough one to answer, but what I will say is that nowhere here are youngsters taught that same mentality you saw the All Blacks display in Dublin. That really is one of a kind. "Why is that? I don't know. Certainly the All Blacks have guys like Gilbert Enoka, whose job is purely on the mental side of the game, but even for non-international players, you grow up in rugby into a certain mindset that you are have to be the best and that you can be the best." That mentality is drilled into players when they first pick up a rugby ball in New Zealand, not when they walk through the door at a provincial or Super Rugby club. It does not just involve one star player, or a handful, but a team effort - perfectly demonstrated by the All Blacks' success in Ireland and over the past three years. Tialata believes it is not just a winning mentality but the entire rugby culture, and the way the sport is taught in New Zealand to forwards and backs alike, which has left the rest of the world lagging behind. "It's a lot slower here [in Europe], but a lot more physical and a much more forward-orientated brand of rugby," Tialata said. "It tough to adapt to here first of all. Over here it's all about scrums, lifting well in the lineout and making your tackles. As a forward in France that's pretty much all that's expected of me. "Back home it's different - you are involved a lot more with different moves throughout the game, whereas here it's a lot more simple for a forward as the mentality does not involve us in the same way. 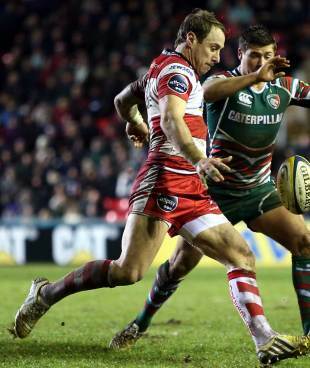 "If you are on your own five metre line you are thinking about going and scoring a try. Over here, you'd sling it to the fly-half and he'd kick you out of trouble. "From as early as I can remember in New Zealand I was taught it was important for one to 15 to all be attacking but all be defending at the same time, but here you just get ball through your nine or 10 and they will often just kick it out or look to build off a line-out or scrum, or get a penalty and take the three points. It's a far simpler brand." While it begins this week under increasing financial insecurity, there is no doubting Super Rugby's track record - all but five players of the last two World Cup-winning squads have played for one of the league's clubs. But it is not simply a win-or-bust situation for young players; missing out on a Super Rugby contract is not the end of the line for a Kiwi. A strong domestic game, the provincial ITM Cup, also acts as the breeding ground for future All Blacks. Concerns were raised in France on the eve of the Six Nations by Philippe Saint-Andre and Pascal Pape on the impact of foreign imports flooding into the Top 14. With no ITM Cup equivalent existing for young talent, there is a fear young players may get squeezed out by big-money signings from overseas - a fear as relevant in France as it is across the channel. Tialata is one example of how this system works; after missing out on a Super Rugby contract in 2005 he joined provincial outfit Wellington. His form in New Zealand was rewarded with an international debut that same year. "I played Super Rugby in 2004 and then NPC for Wellington," Tialata said. "It's just a different system back home, and I think there are a lot of good young players who are spotted at provincial level. "For a younger player trying to crack it you have much more opportunity to make it. It's a great opportunity for a lot of them who miss out on Super Rugby contracts and either go back to their provincial club, join an amateur club or go overseas quite early. "Some of the guys playing in France, especially, are getting squeezed out. It's a problem they are going to have to deal with - from their point of view, it's only going to get worse in the next few years for young players."